valla ne yalan soyleyeyim, gunlerdir (hatta haftalar belki?) iki renk ayari yapip uc fotograf kesmek oylesine zor geliyordu ki anlatamam. diger yandan everland cekimleri halen surmekte.. filan falan. neyse. to tell you the truth, i just couldn't pull myself together to do a couple color corrections and a few cropping to prepare the already taken photographs for days (weeks, even). also, shooting of everland is still going on, as always.. yeah. anyway. neyse, konumuza donelim. meyve salatali serinin son uyesi, kolye ucu. daha once surada klipsli kupe, burada da yuzuk seklinde bahsetmistim kendilerinden. hatta daha da once, surada baska bir yuzuk olarak bahsetmisligim de var. iste bu seferki kolye ucu, bu cok once bahsetmis oldugum yuzukle ayni ozelliklere sahip kasesel baglamda. so, back to business. 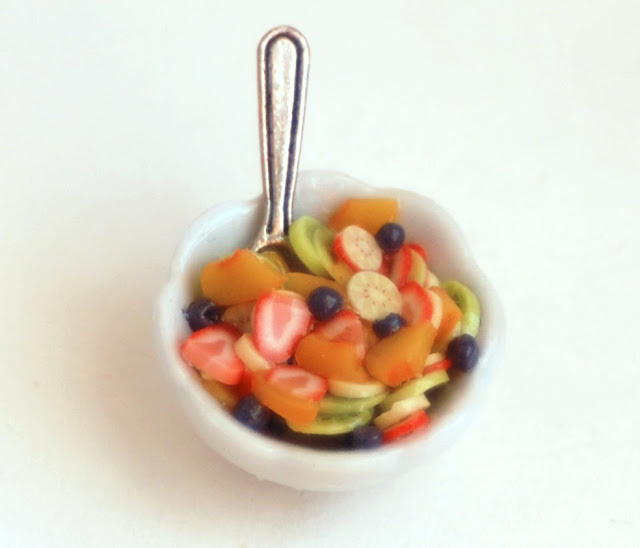 here is the last member of the fruit salad team, pendant. 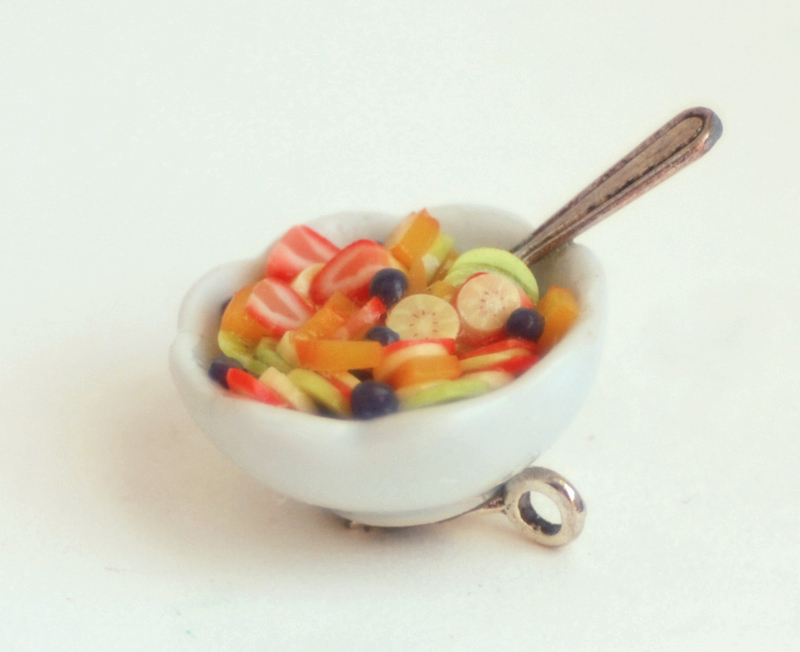 i've mentioned a pair of clip-on earrings here and a ring here, again with the fruit salad bowls. also there was another ring that i was talking about way earlier. 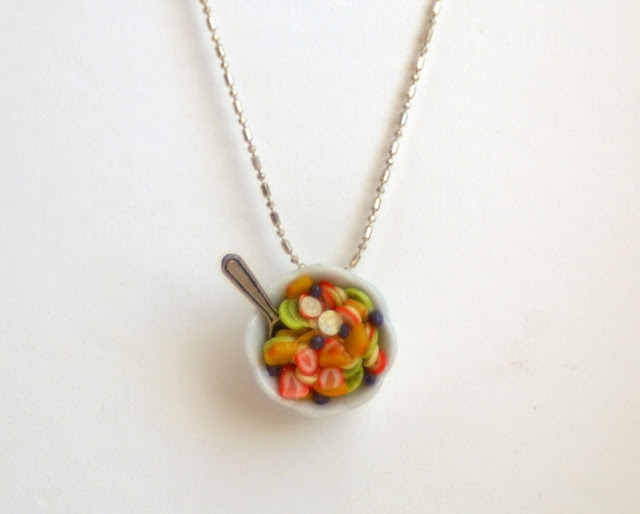 so this pendant has the same qualities as that ring, bowl-wise. yinelemek gerekirse, meyveler (ki kendileri cilek, kivi, muz, seftali ve yabanmersini oluyor) polimer kilden, kase seramikten, kasik da metalden. 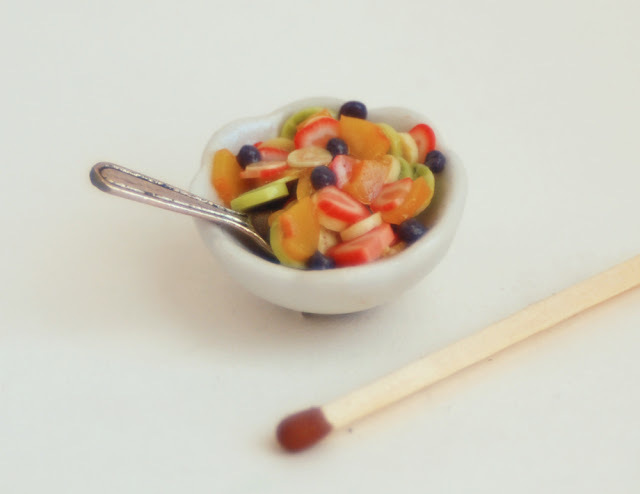 to remind again, fruits (strawberry, kiwi, banana and peach slices with whole blueberries) are made of polymer clay, the bowl is made of ceramic and the spoon is metal. vehasil, surasi etsy, burasi dawanda, burasi da fler adresi. ozlem@ozlemakin.com'da da posta dahil 34 lira.